Mario Badescu's facial spray is one of the most ubiquitous skincare products out there. We love it, makeup artists love it, and even celebs and models (like Martha Hunt) love it. The botanically infused mist is fine, cool, and refreshing, and it hydrates our skin without wreaking havoc on our makeup. Basically, it's been a mainstay on our desks, vanities, and gym bags ever since we first spritzed our skin with it years ago. (Notice that we said desks, vanities, and gym bags. That's yet another one of its redeeming qualities. The Aloe, Herb and Rosewater Spray ($7) is the original, though this past year the brand released a slightly different scent and formulation: the Aloe, Cucumber and Green Tea Spray ($7), which comes in a green liquid as opposed to the classic pink. Now, according to Allure, Mario Badescu is releasing a brand-new version that will launch next month. Keep reading to get your first glimpse at the new facial spray. The Instagram account @trendmood1, which specializes in beauty news, posted this image, captioning it, "A facial mist with an infusion of calming botanicals and lavender essential water. Delivers a soothing boost of hydration, leaving the skin balanced and bright." 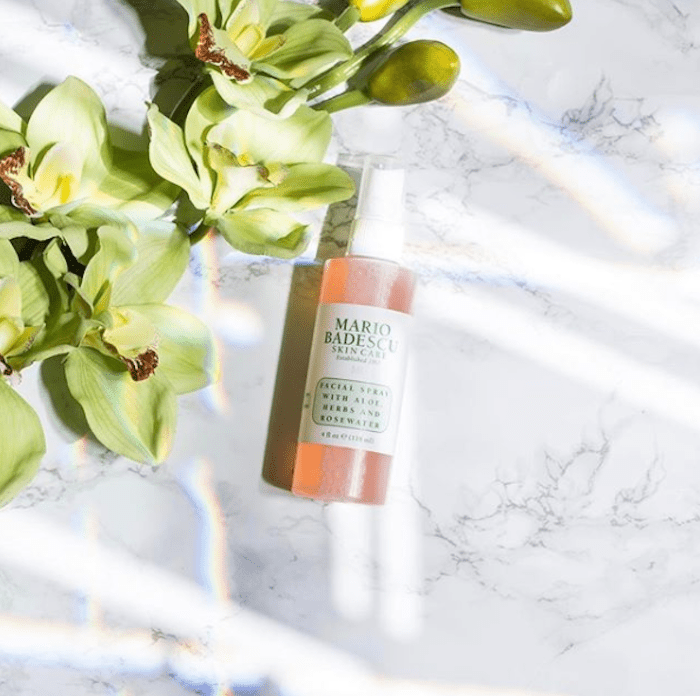 It's unclear if there are actual brightening ingredients in the spray to revive dull skin or if it's simply a balancing and refreshing formula. We're assuming it will be more like the latter, seeing as the rosewater spray is super hydrating, and the aloe version is soothing. Whether or not it's truly brightening, we know that we'll love a lavender and chamomile scent since both botanicals are used to calm and relax the mind in aromatherapy. In other words, this is the facial spray to use when stressed or sleepless. According to the account, this new version will hit Ulta stores on December 26 (so, unfortunately, it won't be available in time to purchase as a Christmas gift). We'll still be first in line to try it, though, considering how much we love the original versions. Head to Allure to read the full article.